Latest from E!Online's 'Spoiler Chat Daily' column. 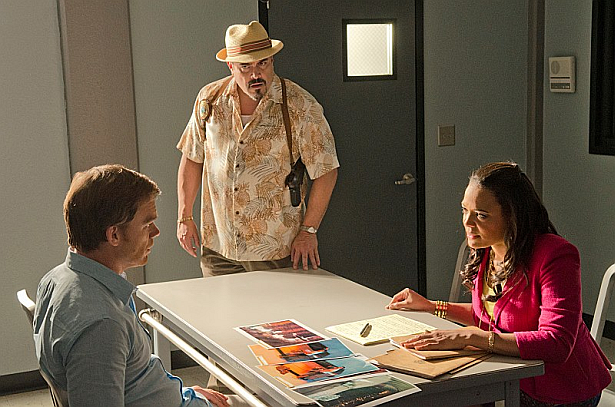 Skip the jump to read spoilers about the forthcoming Season 8 premiere of Dexter, which airs Sunday, June 30. About the cliffhanger of the Season 7 ender: That situation is going to get worse before it gets better. "The writers manage to put the guy in hotter and hotter water," Michael C. Hall says about the Season 8 premiere.